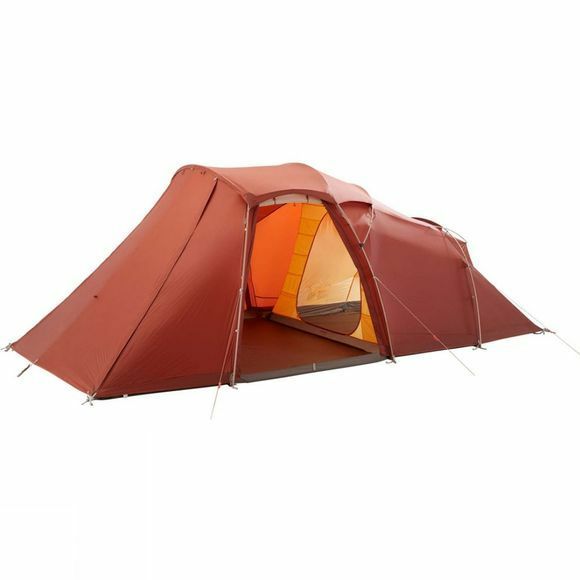 The Torii 4P Tent from Vaude is a lightweight, very versatile tent designed for families that place great value on livable space and quality. Long-lasting materials, high quality workmanship and best UV resistance. The rectangular ground space in connection with near-vertical walls and an airy mesh roof ensure a well-ventilated, extremely comfortable micro-climate and more livable space. A true highlight is the Ventorama roof–similar to a sliding roof, the flysheet can be opened up. This not only clears your head, it also opens up so you can sleep under starry skies. For shorter Northern summer nights, you can get enough rest inside the darker sleeping cabin. Only need a light weather cover? 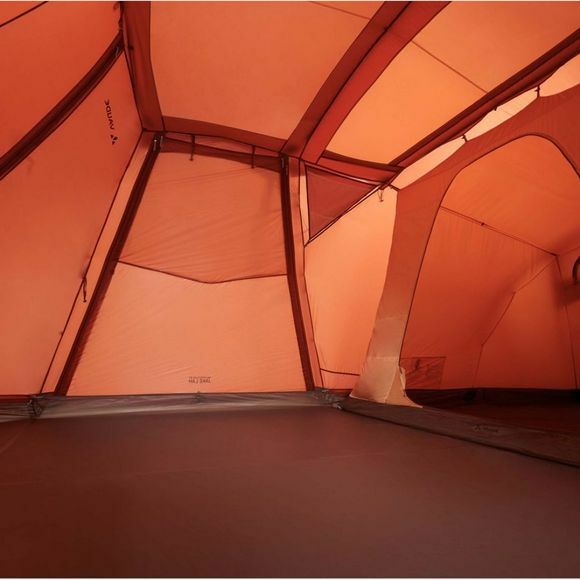 Remove the inner tent cabin and the waterproof bathtub floor for lighter night protection. And for those who need a bit more space, the separately available Torii Tarp can be docked onto the side for extra room. The inner tent also comes with a practical organizer and tablet pocket.